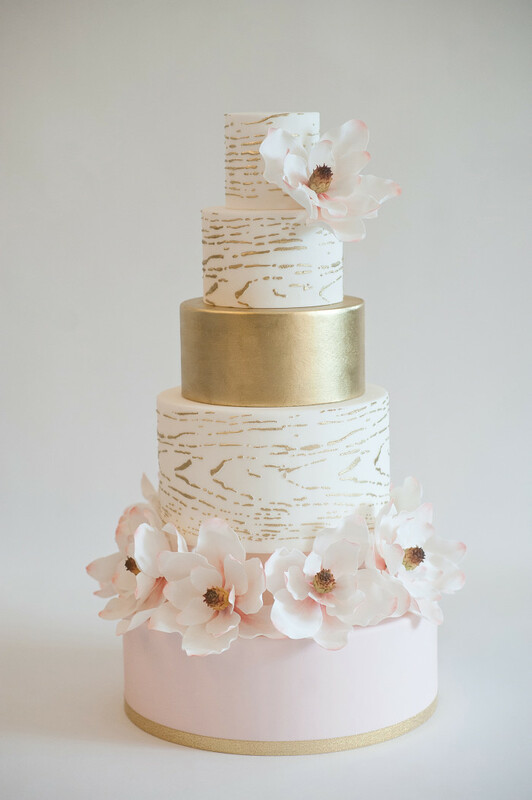 You can never go wrong with a blush pink, cream, and gold color palette with some extra shine and Charlotte gives you just that. 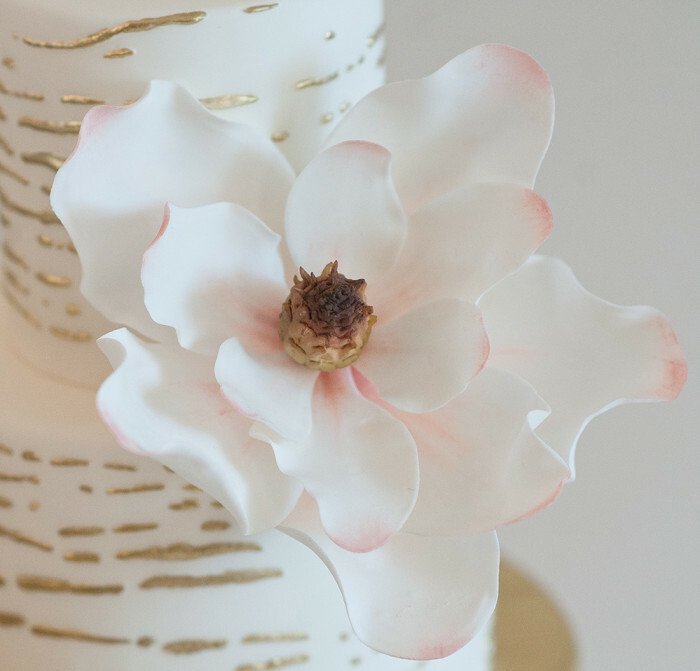 Nestled in between the bottom tiers are nine giant, sugar Southern Magnolias that are really the highlight of this cake. 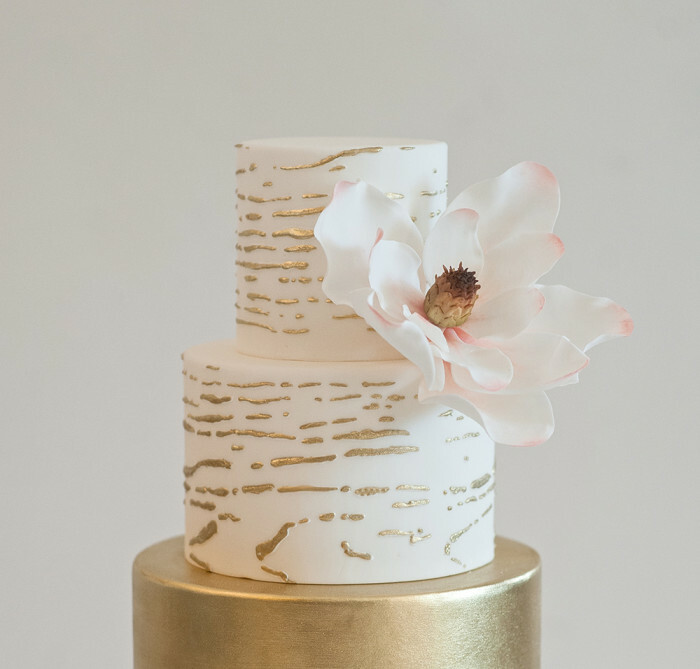 Accented by a gold, painted tier and a hand painted gold texture that resembles tree bark. Charlotte is for the Bride who is natural and romantic.